SCANDAL: American football is focus for concerns & protest over racist attacks in America. 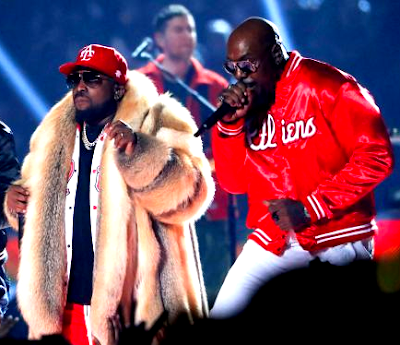 Racist brutality was peacefully highlighted by Colin Kaepernick and Black Lives Matter, contrasted with blackballing and hostility among smugly wealthy NFL club owners in bed with the US military. 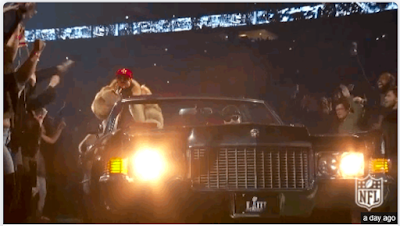 So it is beyond simply insensitive when the US Super Bowl presents a hated Ghetto life stereotype front and center: the large fancy pimp-mobile with fur-coated rapper Big Boi.